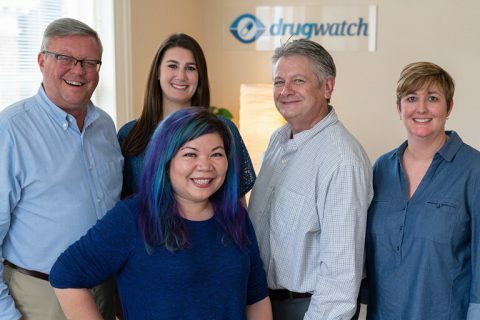 At Drugwatch, we are passionate about our mission to keep people safe from the potential risks of prescription drugs and medical devices. Our team of expert writers and outreach coordinators work together to deliver trusted, up-to-date information and spread awareness about problematic medicines and devices that affect people’s health. Combined, Drugwatch’s expert writers have decades of experience in research and investigation. They have worked for respected newspapers, magazines, universities and law firms. Drugwatch’s writers get the facts directly from trusted, credible sources, such as doctors, lawyers, medical journals, court documents and government reports. They then translate the information into language you can understand. They also develop relationships with experts, advocacy groups and patients to add first-hand knowledge and additional expertise to the information found on Drugwatch.com. Our writers and researchers are available to help journalists and editors in need of reliable research, sources and quotes. Kevin Connolly joined Drugwatch as managing editor after 20 years in newspapers, mainly the Orlando Sentinel. He is a watchdog at Drugwatch, where pharmaceutical companies hawking dangerous drugs and device manufacturers selling defective medical products are held accountable. He is a member of the International Society for Medical Publication Professionals, the Drug Information Association, the American Association for the Advancement of Science, Physicians for Responsible Opioid Prescribing and Investigative Reporters and Editors. 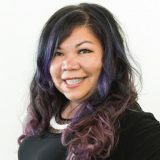 Michelle Llamas is Drugwatch’s senior writer and the host of Drugwatch Podcast. Much of her work is dedicated to reporting on fluoroquinolone antibiotics, birth control methods and devices marketed to women. 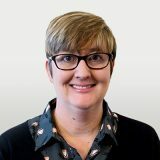 Michelle has seven years of experience writing medical and legal content — including an article in the Journal of Palliative Medicine and an academic book review for Nova Science Publishers. She builds relationships with trusted experts such as patients, advocates, support groups, and legal and medical professionals. Prior to writing for Drugwatch, she spent six years as a legal assistant for personal injury law firms in Orlando. She obtained her English – Technical Communication degree from the University of Central Florida. She is a committee member with the American Medical Writers Association (AMWA). 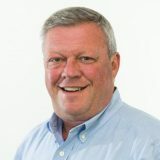 Terry Turner writes about FDA policy, proton pump inhibitors and medical devices, including knee and hip implants, hernia mesh and IVC filters. He is an Emmy-winning, former television journalist with more than 25 years of experience researching and reporting on consumer issues. His work for Drugwatch has been published or cited in Washington Examiner, MedPage Today and The New York Times. He has also appeared on the BBC to discuss hernia mesh complications and lawsuits. 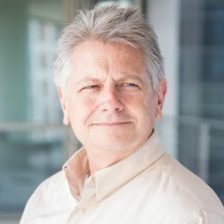 Prior to joining Drugwatch, he spent 12 years as a U.S. Department of Defense writer and producer, five years with CONUS Communications and two years with Voice of America. He routinely reported on health and medical policy issues before Congress, the FDA and other federal agencies. Terry received his Bachelor of Arts in Media Arts from Lyon College. He is a member of the American Medical Writers Association and The Alliance of Professional Health Advocates. Emily Miller is an award-winning journalist with 7 years of professional writing and editing experience. Her coverage of U.S. drug prices for Drugwatch has been published or cited by The Hill, Fox Business and United Press International. 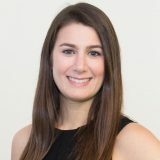 Prior to joining Drugwatch, Emily spent five years writing for media organizations, including South Florida Sun Sentinel, San Antonio Express-News and UF Health News. Emily earned her Bachelor of Science in Journalism from the University of Florida and holds five health literacy certificates from the Centers for Disease Control and Prevention (CDC). She is a member of the Society of Professional Journalists, The Alliance of Professional Health Advocates, the American Association for the Advancement of Science, and the Society for Technical Communication. Amy Keller is a registered nurse and writer for Drugwatch. She uses her nursing knowledge and background as an investigative journalist to write about complicated health issues such as the safety of online pharmacies. Prior to becoming a nurse, Amy spent more than two decades in journalism as a senior writer at Roll Call newspaper and associate editor at Florida Trend magazine. Amy earned her Bachelor of Science in Nursing degree from the University of South Florida. She also holds a journalism degree from The Ohio State University. Amy is a member of Sigma Theta Tau International Honor Society of Nursing, the second largest nursing organization in the world, and she has served as a guest faculty speaker for the Institute of Patient- and Family-Centered Care. Part of Drugwatch’s mission is to spread awareness about the risks of prescription drugs and medical devices. The outreach coordinators connect with medical organizations and communities and alert them about risky medical products that could hurt people. They accomplish this by developing relationships and providing free resources and information tailored to each organization’s audience. Bradley Welch manages Drugwatch’s social media and is an advocate for those affected by harmful drugs and defective medical devices. Bradley graduated from Rollins College in Winter Park with a degree in Critical Media and Cultural Studies in 2011. Bradley was part of the JUMP (Join Us in Making Progress) Active Community Program at Rollins, and has carried on this passion to help others. He has vast experience in marketing and communications within the eHealth field. He joined the Drugwatch Outreach Team in 2017.